1930 - Gandhi’s Salt March took place, Pluto was discovered, Stalin began collectivization in the USSR, England scored 849 against the West Indies in the cricket but perhaps for us the most significant event took place between 13th July-30th July... The inaugural FIFA World Cup! 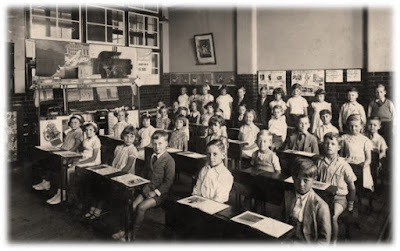 Pre-1930 FIFA had been involved in the organisation of the Olympic football tournaments albeit on an amateur level. The 1924 Paris Olympics were won by Uruguay as the first time since their founding in 1904 did FIFA have the international championships they were seeking. 40,000 fans attended the final but it was not widely participated in with British associations in particular unhappy at the strict rules on amateurs. 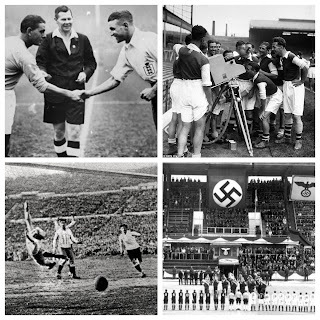 The 1928 Olympics was held in Amsterdam where the Uruguayans retained their gold medals but now FIFA flirted with the idea of a full tournament in 1930. The candidates for host were Italy, Netherlands, Spain, Sweden and Uruguay but at a time of economic collapse (with the Wall Street Crash around the corner in 1929), Uruguay were the only federation willing to pay travel cost, accommodation and build a new stadium. This coincided with the country celebrating it’s centenary the same year so the decision was made, Uruguay would have the honour. The tournament would be played in the capital city, Montevideo and 7 South American teams along with Mexico and USA signed up. However, European teams were deterred by the mammoth boat journey and 2/3 months away from home lives. By sailing day on 22nd June 3 teams joined FIFA President Jules Rimet on the SS Conte Verde leaving Barcelona. France, Belgium and Romania travelled together with a stop in Rio De Janeiro and Santos to pick up (according to the FIFA website) Brazil, bananas, oranges and pineapples! Yugoslavia were the fourth European side making 13 in all and when everyone had arrived by 4th July 1930 the draw was made. Group 1 continued to provide entertainment as Argentina v Mexico featured 5 penalties (refereed by the Bolivia manager) and a hat-trick from Guillermo Stábile on his international debut as the Argentina won 6-3. This result set up a final game decider from qualification between Argentina and Chile, Argentina won again despite a mass brawl and were through to the semis. Group 2 was supposed to be dominated by the Brazilians who were seeded by an unexpected loss to Yugoslavia meant beating Bolivia 4-0 was not enough to advance as Yugoslavia did the same. Group 3 contained the hosts Uruguay and saw the first dismissal as Plácido Galindo of Peru received his marching orders against Romania. This was noted as the lowest World Cup attendance ever too, officially 2,459 but actually thought to be more around 300. Uruguay’s first game was the opener at the magnificent Estadio Centenario, they postponed the match until the stadium was ready but after a series of centenary celebrations and 100 years to the day after the Uruguayan constitution was signed they saw a 1-0 victory for their side over Peru. Uruguay went on to beat Romania 4-0 and qualify. Finally, Group 4 was topped by the USA who surprised some people. They smashed Belgium 3-0 despite complaints about refereeing and the pitch then saw the tournament’s first hat-trick in their next game against Paraguay scored Bert Petenaude 2 days before Stábile’s. The final match was for nothing and Paraguay edged Belgium 1-0. The seeded Argentina and USA met in the first semi final on July 26th with the Americans fielding 6 British born players. The match was a violent affair and after only 19 minutes the USA were down to 10 men due to a nasty leg break on centre half Raphael Tracey. The “shot putters’’ as nicknamed by the newspapers, could not hang on and conceded 6 times, Stábile got himself 2 more and a late 89th minute consolation meant little for the Yanks. The second semi final a day later saw the same scoreline as Uruguay trounced Yugoslavia 6-1. Yugoslavia started well taking the lead after 4 minutes but a hat-trick from Pedro Cea and a disallowed Yugoslav goal meant the home side advanced to the final. It is thought that Tom Florie and Blagoje Marjanović, captains of the losing semi finalists, received bronze medals for their teams as the 3rd Place Playoff would not come in till 1934. So onto the final, Argentina the form team and Uruguay the hosts at the Estadio Centenario in front of over 100,000 fans (only 90,000 officially)! It was a rematch of the 1928 Olympics final that Uruguay had won after a replay and the Argentinians wanted revenge! Boats were crowded crossing the River Plate from Argentina and gates that opened 8am, 6 hours before kick off were full by midday. Belgian referee John Langenus, fearing for his life after death threats were sent to some players asked for FIFA to provide a boat should he need to make a quick escape. Before the game could kick off a row ensued between the two captains over whose ball to use so Langenus offered a solution acceptable to both sides, Argentina’s ball would be used for the first half and Uruguay’s for the second. This is what the BBC have suggested as the coining of the phrase “a game of two halves”. The hosts broke the deadlock after 12 minutes before conceding 8 minutes later and then once again through Stábile to make it 2-1 Argentina. Uruguay were furious as they thought it was offside but it stood nonetheless and the home side had work to do as they were being outdone by superior passing and attacking intelligence. In the second half these changed and Uruguay took the momentum by equalising through Pedro Cea then after 68 minutes Uruguay had the lead once more as Santos Iriarte slotted home. The 4-2 win was wrapped up by Héctor Castro just before full time and the trophy was Uruguay’s! They were Olympic Champions and now they were World Champions as Jules Rimet presented the “Goddess of Victory” (that would later be named after him). A national holiday was declared the next day in Uruguay as newspapers reported the feat and credited captain José Nasazzi half time speech to his player. 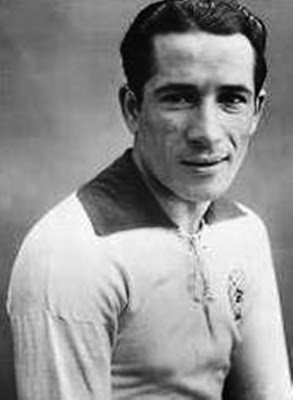 The first World Cup was over, Guillermo Stábile finished top goalscorer with 8 tournament goals in what were his only 4 appearances for the Argentinian national team. 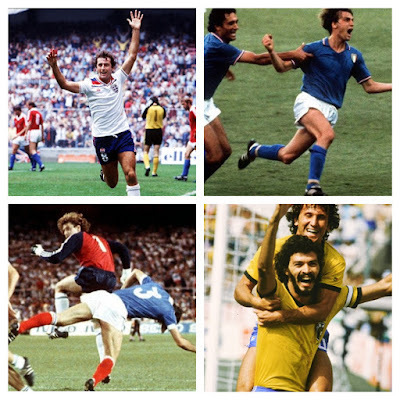 The World Cup though had captured the public’s imagination, it was a championship of firsts without a single draw, who knew then it would go on to become the greatest and most sought after competition in history? !